Hit and run drivers face serious legal consequences in Missouri. Hit and run accidents refer to an auto accidents where the driver at-fault leave the scene of the accident, after causing injuries and damage. Fleeing the accident scene can have both civil and criminal consequences. Knowing the hit and run laws in Missouri can help you understand how to pursue a claim, if you are a victim of such an accident, or the consequences you may face, if you are found guilty. In this post, we will explain hit and run laws in Missouri. Not many are aware that there are certain duties when a driver is involved in an accident. If the accident resulted in injuries, the uninjured driver should call 911 and report the accident. The drivers involved in the accident are also required to exchange important information such as contact details and insurance information. In order to fulfill these duties, the driver must not flee the accident scene under any circumstances. Punitive damages are normally not awarded in auto accident cases, however, they may be awarded in hit and run accidents. Punitive damages are a type of compensation that can be obtained when the at-fault driver caused the harm, either recklessly or intentionally, or acted in an egregious manner. The purpose of these damages is to punish the at-fault driver and to deter others from engaging in similar conduct. Everyone is expected to be legally aware of their responsibilities as a driver at the scene of an accident, and committing a hit and run is in most cases considered worthy of punitive damages. Even if the car accident was unintentional, the fact that you fled the scene of accident is enough to invite punitive damages. In most states, the driver who is found responsible for a hit and run accident, which resulted in serious injury or death, may face criminal consequences as well. For example, in Missouri, if a hit and run accident results in injuries or death, it is considered a Class D felony, which is punishable by a fine of up to $5,000, and/or jail time of up to four years. However, if the hit and run accident causes less than $1,000 worth of damage to the victim’s vehicle, it is considered a class A misdemeanor. However, if the damage exceeds this amount, or the at-fault driver has a prior violation, it is considered a class D felony. 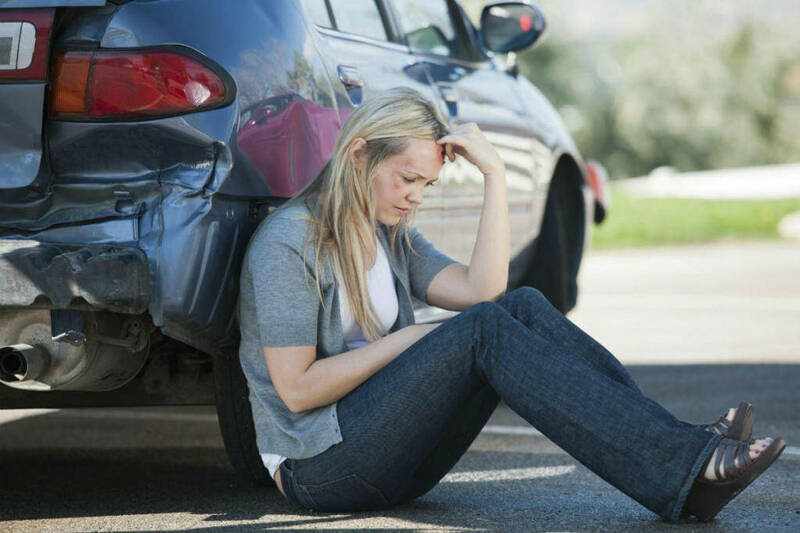 If you have been injured in a St. Louis car accident, you should immediately seek legal help from a St. Louis car accident attorney, who is experienced in handling such cases. Call The Hoffmann Law Firm, L.L.C. today at (314) 361-4242 for a free consultation.